Hive OS 2.0 is coming soon and it will apparently replace the existing first version of the Linux-based GPU mining platform. Although the changes are mostly on the web-based front end, so the Linux OS on the rig is not going to need to be necessarily changed initially, although updates with new features to that will probably follow as well. All user accounts are going to be migrated automatically, in fact you can use your existing Hive OS account to login in the Hive OS 2.0 public test website, but after the migration happens any changes in it will be wiped out wit the data from your old Hive OS 1 account. Migration will happen in a couple of days, though no exact date has been announced yet. There are a number of Linux-based mining distributions available out there, but most of them do have some limitation or a drawback or maybe are not very user friendly for non-advanced users. Hive OS is a relatively new Linux based mining platform that is trying to change that and offer a single package for all your GPU and even Bitmain ASIC miners for easy deployment, monitoring and control. The installation of the OS on any AMD or Nvidia GPU mining rig is quick and easy and then you take control from the cloud via a convenient web-based user interface, so no need to remotely login to each system and manage it or monitor it this way. The Hive OS comes with most popular miners for AMD and Nvidia GPUs for many algorithms and they are maintained, though you can add miners yourself as well without the need to compile them yourself from source. The mining platform is ideal for people with more than just a few mining rigs or ASIC miners as it allows you to easily monitor their operation and control them if needed including overclocking or underclocking to optimize them for efficiency or performance. 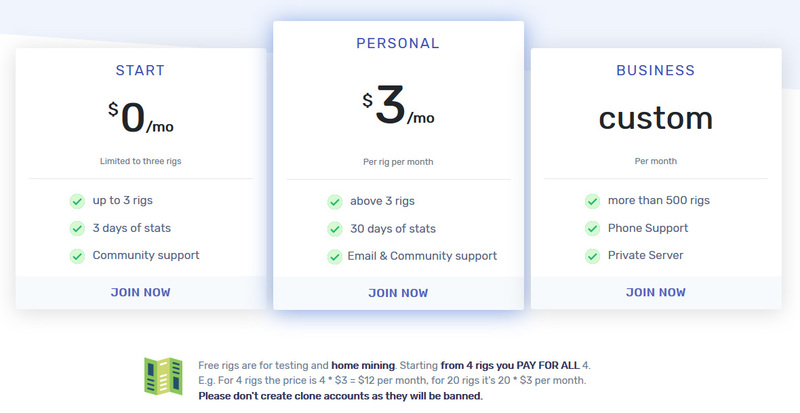 Hive OS is free to try and use for small miners with up to 3 mining rigs with some limitations, when you go above 3 mining rigs there is a fee of 3$ per mining rig per month that you need to pay in order to continue using the software. The good thing is that you can register and try it for free and if it works for your needs and covers your requirements you can then start deploying it on a large mining farm for example. 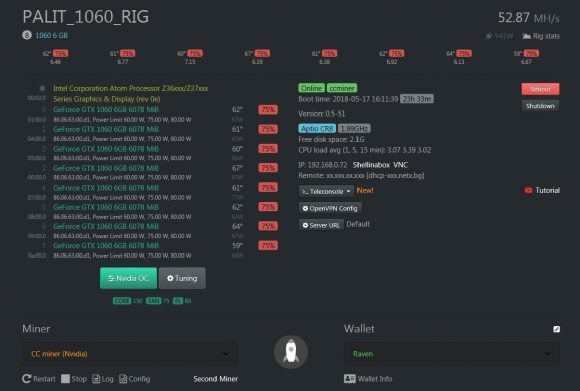 Do note that there are different clients available for Linux GPU mining rigs, ASIC miners and now there is also even a beta version available for Windows, so you may want to try that as well. The Hive OS ASIC client currently supports Antminer S9, S9i, L3+, L3++, D3, A3, T9+ and Z9-Mini and it needs to be installed via SSH to every single device you want to use with Hive OS. The Linux distribution of Hive OS can be used with a USB flash drive, no need to install it on a hard drive or and SSD. It is a full featured operating system intended for mining, unlike the Hive OS clients for ASICs or for Windows that do need the host operating system already installed and work on top of it. We also have a special promo fro everyone interested in trying out the Hive OS, a bonus code that will give you $10 USD in your account when you register, the code you need to enter it this one: CMB10USDPROMO. Again, we remind you that the service is free for up to 3 mining rigs, so there is no need to pay anything to just give it a try, but also getting some extra bonus won’t hurt either if you like it and decide to use it.